If you have a project and don’t know where to start, we’re here to help you. 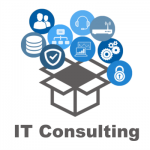 Our consulting services can handle a wide range of problems looking for a solution. We’re looking forward to hearing from you!